1. Off load your routines and take them into her hands. Jazz showered Jare! They had much more shower fun this way! One evening, in midst of washing the dishes, I shooed the kids up for shower. I must have given them too much time to idle, went into the bathroom, and saw Jazz showered Jare all by herself! I couldn't believed Jare agreed to become victim of her first attempt. The man was spying from the outside, witnessing our disbelief. Asked if she did the neck, armpits, skin folds, and she nodded. How did my girl grow so quickly to take on such a pioneer role?!!! I seriously wouldn't mind such kind offer from her daily, albeit a little worried about shampoo residue. And, if only, we didn't mind a really soaked bathroom. And so, she showered Jare today, again! 2. Write her first set of Chinese name. She almost gave up, I almost gave up. She said she couldn't, I said she could. She was discouraged, I encouraged, and there! She completed her first, 3 characters of Chinese name, without the dotted. Considering the number of strokes in her name, it was a very good effort. A proud mama here. 3. Finally read with much independence. Jazz started picking more reading since we came, we began with words, sentences and now paragraphs. And once she begins reading, it just goes on and on, more and more. Now, she can read bedtime stories for little brother! How fast has my girl grown! Every moment is truly precious, and I'm thankful for witnessing every of Js little and big milestone. It's just so exciting being a Mum. There's a sure, absolute reason why men deemed women as being naggy, and why we are. It's been more than an occasion, my man forgot about the simplest tasks his woman, I, assigned to him. Here's a significant example that really amused me. Usually, when we get the kids from school, I would pre-cut some fruits or prep some snacks to receive them. It usually is a long interval after snack, before we get them in the evening. On some days, when I couldn't leave home to pick them because of kitchen chores, the man would go without me. And, I would remind him to bring their filled snack containers along. Each time, with three repeated reminders, hopefully to get at least one registered. Low and behold, on two consecutive occasions, he clean forgot about it. Even though they were placed right before his eyes, and the previous time, just beside his shoes! See how easy I made it for him. Repeated my message thrice, but couldn't get one stored into memory. There probably are some historical reasons why women are naggy, perhaps an in-built trait from our fore-mothers. Women are like caretakers, always on the lookout and a cautious reminder for our kids and man. We repeat because we don't allow room for forgetfulness. In any case, my man is still wonderful, with that tad forgetfulness. The point to highlight is, men should not think women as nags. Your mum, your wife, your friends, your colleagues and the women around you, know you need that useful reminder! All for the good intention. Take heed the wise words and dump selective listening. Similarly, I admit, my memory fails upteem times too. I welcome nags. Sharing an interesting know, if you didn't realised or know about it. The flag orientation on the right body of our SIA plane is actually of the 'wrong' orientation. Few weeks ago, on the Straits Time forum, someone wrote in to effect change on the orientation of flags on our planes. I understand his concern about flying our pride right, but thought this was kind of absurd. If this orientation is truly a human error, what are the chances of it getting wrong, not on just one plane, but all. The placing and direction of the flag is absolutely right. It's all about flag ethics. When you raise and fly a flag, it's only ethical that it flies correctly, in the wind blowing direction. Digest this, visualize our flag flying below the helicopter on National day, one side is of the right and the other 'reverse'. And since the plane is designed to fly with the cockpit front, you see the correct orientation on the left body, and 'reversed' on right. If I'm not wrong, this ethic is practiced on all countries' aircraft and ships, too. National Day is just few days away, and if you happen have our flag as a car decal, you should know the correct orientation on the right body of the car. I chanced upon this know and thought it's interesting to share. In case our little ones ask, we can always present ourselves as the know-it-all dad and mum. Happy National Day, fellow Singaporeans! Squeezed in a little vacation over the weekend to Grand Teton, Wyoming and Yellowstone, Montana, Idaho and Wyoming, with Yveon and family. Yellowstone's so huge that it terrorized 3 states. It's also the first National Park in America. I really need to share about this trip, which was absolutely magnificent! I've discovered so much more about nature and its beauty since our stay here, the access to these inspiring beauties has moulded me to become an extreme nature lover. I'm now a fan of National Parks. Yellowstone has been the best seen so far. Every park has it unique characteristics, I know. But let me be bias for now. 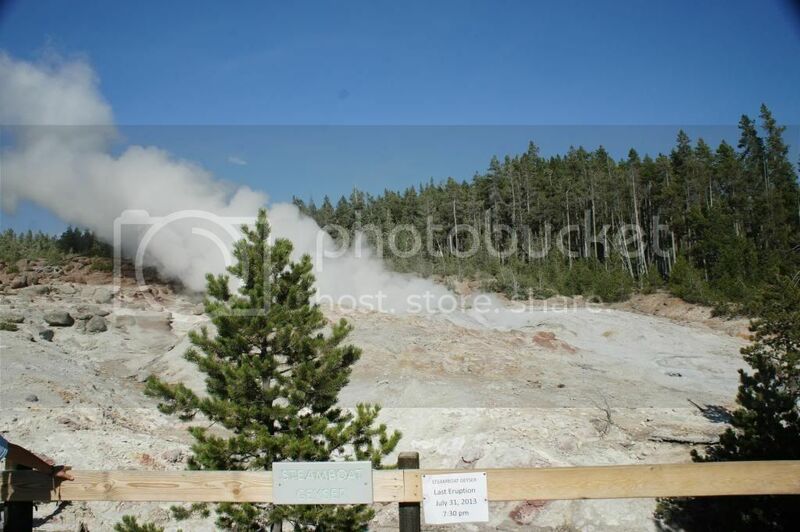 Yellowstone is home to a large collection of geysers, hot springs, rivers, lakes, wildlife and the different elements of nature. We spent about 1.5 days in the park, and had to sadly call it an end, for homecoming. I wished we had more days, it's so huge that we couldn't cover every point. Less words, more evidence. Let me impress with pictures! 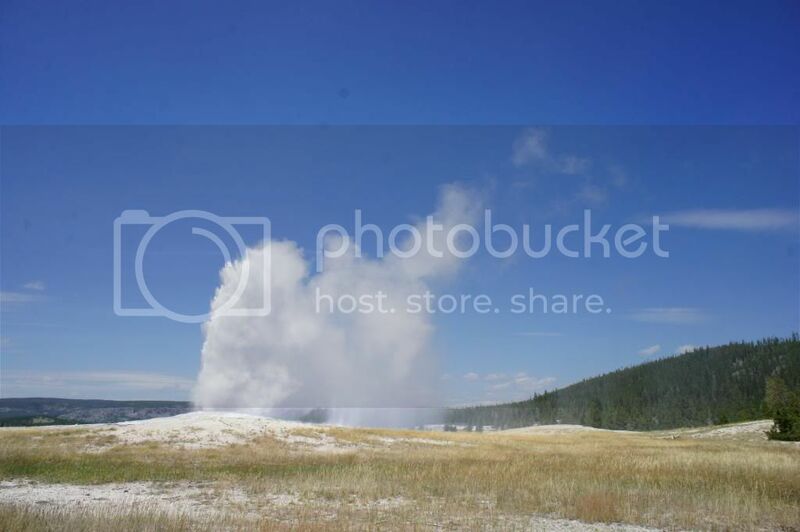 Old Faithful Geysers: There were many larger geysers in the park, but this was the most faithful of all. It's rather predictable and erupts consistently. Wonder how geysers erupt? Just think a giant pressure cooker. For technical terms, Google it. Grand Prismatic Spring: Love those beautiful bands of yellow and orange colours surrounding the hot spring it to give its prism effect. 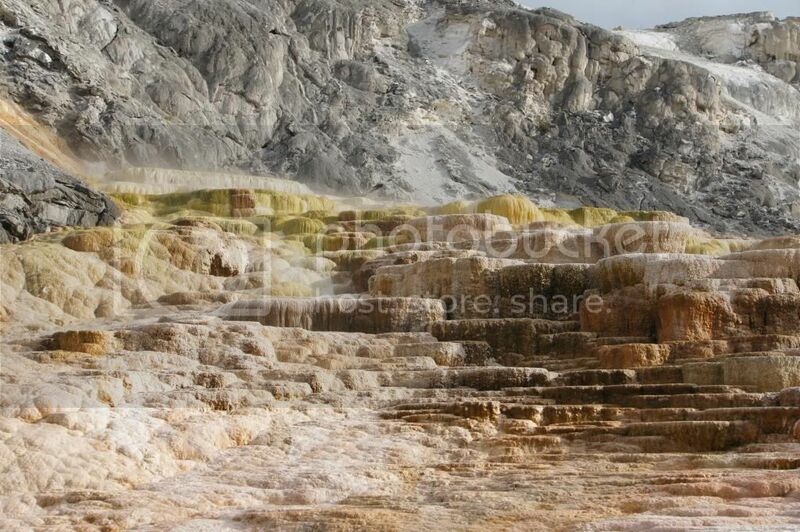 Mammoth Hot Springs: Beautiful terraces as water well up and deposit large amount of travertine daily. Travertine is a white mineral, that when in contact with warm water structures colourful bacteria and algae. Hayden Valley: Known for the abundance of wildlife. This was a journey where we were hoping to catch sight of, as many wildlife as possible. In fact, animals watching was one of my excitement to look forward to during this visit. 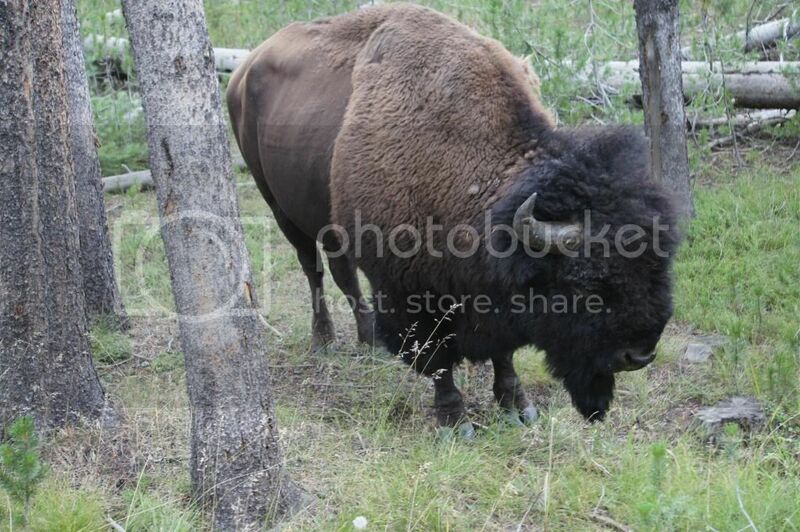 Yellowstone is home to many Bison, moose, deers, elks, wolves, coyotes and bears! Rather disappointing to not see Bison in herds, but, at least we caught sight of some in solitude. Grand Canyon: My favourite of all, and probably the most breathtaking sight in the park. I wished we had more time to soak ourselves in this part of nature. That waterfall, blending so well with the surrounding rocks. Truly magnificent! 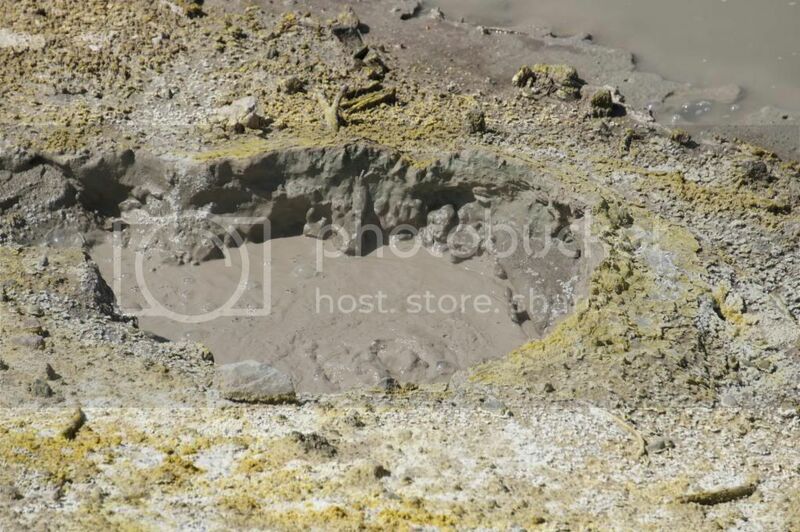 Mud Volcano: Welcomed by the strong ordour of rotten eggs, hydrogen sulfide gas. I like that pleasing smell though. Muddy boiling pots may not look appealing, but still, a beautiful unique sight of nature. Norris Geyser: Where the world's largest and tallest active geyser is found, steamboat geyser, and yes, it really looked like one humongous pot of steaming soupy food. It had been stagnant for 8 years before it finally decided to erupt on 31st July 2013. We were there on 3rd Aug, and so we managed to catch sight of its still roaring steam. These were the main highlights of what we've covered, in the casual and leisure manner. We did a little hike at Grand Teton, prior to Yellowstone, and I'm just so glad that Jazz used her walking feet throughout, even in Yellowstone. Maybe, my girl has really grown up. Jare, as usual, loves being kola-ed to me. Nonetheless, I enjoyed the sights. Nature existed long before our presences, but I felt so alienated standing among them. They are not just an appearance, they have a story to tell. I'm glad for the opportunity to tour and acquire knowledge about these impressive elements of the world. 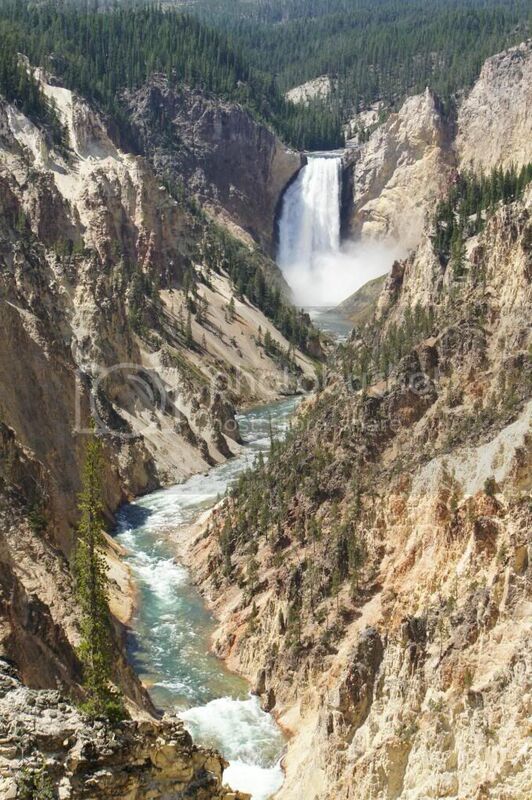 I'm beginning to miss my geography lessons during school days... and yes, I'm hoping to visit Yellowstone sometime again. I am the indirect person responsible for the mess Js create. That's because, I'm the one who blessed them with abundance of toys and sometimes leaving undesired stuff within their reach. And when disastrous moments happened because of my bad, it just seemed too unfair to scold the little ones. It usually takes a whole lot of inconvenience in a child's learning progress. Jare started self feeding slightly after 1 year old, and I wasn't too concern about the mess he left, after each meal. Practice makes perfect. Though still messy, I'm sure he will outgrow. Play time is war time, you won't want to enter this zone when the kids are having crazy fun. 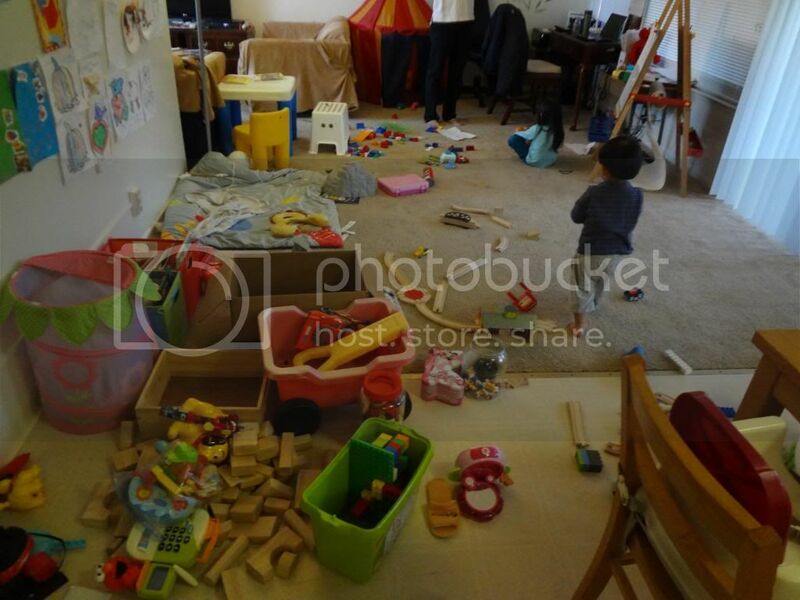 But, out of their messy play, it's opportunity to teach responsibility. Clean up after play. I see speed tidying when my vacuum cleaner appears and threatens the lives of their toys. 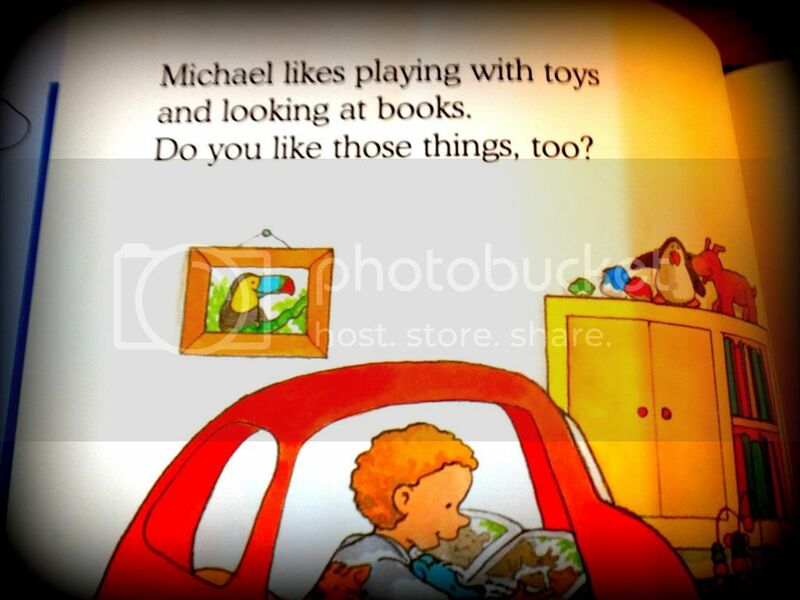 They learned tidying the tough way, with toys being confiscated umpteen times. I've since tolerated with the messiness in life upon their entrances. If you don't know me, I'm an extreme bed hoarder. The kids robbed my sleep hours! I'm the first to rise and sometimes the last to down, my man's usually the last. He's an Internet hoarder. I didn't know how much sleep I could forgo just to make sure everyone gets well fed and served in the morning. Weekends? Makes no difference when the kids come visiting my room once they're awake. I can't laze too long after they're awake, the conscious part of me knows they are waiting to be fed. I do miss my luxurious beauty sleep, very much. Each year, I'll just ask for the same birthday gift, late morning sleep and good afternoon nap. 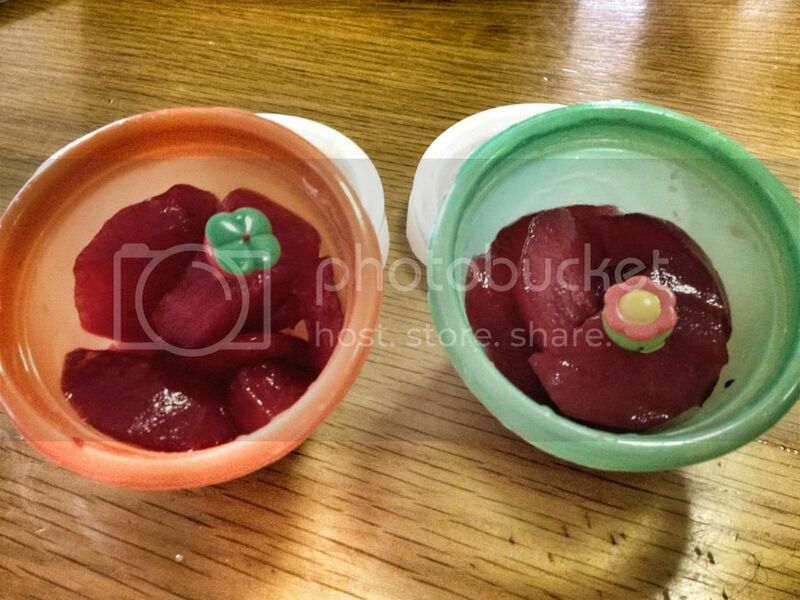 Our home cooked meals are usually, never strong tasting. Less salt, less sugar and less oil. Or if needed, to pamper ourselves, I'll add more seasoning for the adults' plates. And I never knew I could live by bland food this way, for long. Being a Mother has made me realised that there are 2 other more important and precious lives before mine. I'm ever ready to sacrifice time and love for them whenever they need. Tolerating my uncomfort for their comfort seemed so readily in me. Standing in long lines and crowds for play, it's just unlike me. And if their patience allow, what other best can I do to exemplify it. It takes a mum to understand a mum. I love kids, but even so, before I became a mum, I couldn't tolerate any tantrum or a mischievous child for long. I sometimes begin to judge and crticise the parents for their act. But who am I to judge, and I wasn't even a mum?! After becoming one, I realised how compassionate my heart is to sympathize and feel for parents whenever they are challenged or caught in undesirable situations. Instead of stares, I'll try to offer some help or encouragements. No parents love dealing with meltdown or misbehaving kids, and if you ever come across one, you may be quick to set your judgement. But lets try to be fair, respect the fact that every family has their stories, rules and disciplines, not every struggle is evident. You may be right about bad parenting, and bad parents may not even be bothered about those obnoxious stares or comments, but to the good parents, your negatives can be devastating! Keep the doubt open, and if your mind allows, think and encourage the positives. Rule of thumb, better to keep silent than speak, if there's nothing pleasing to comment. I recalled a boy who used to play with Jazz in the area we lived in. He was extremely rough during plays. I know kids can get too carried away with fun at times, but this boy was kicking Jazz repeatedly, and I had to speak and teach a child who was not even mine to begin with. I know a stranger is never a rightful person to teach other child. I became a victim of judge. Only then, I realised he came from an incomplete family. Not every child has the same set of opportunities for growing and learning. I've since learned to choose words and actions with more compassion. My kids and myself may have also unknowingly, in more than an instance, became a source of irritant to the people around us. As much as I receive others with a compassionate heart, I hope to reap the same rewards. I can't agree more that Motherhood has tamed most women and gave us better tolerance. We know when to mellow and when to rise up!